In Toronto these days, despite a recent shootout win over the Bruins, NHL talk is as much about Leafs’ GM Brian Burke and head coach Ron Wilson as it is about the players. 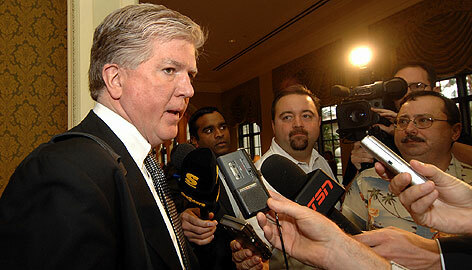 Leafs' GM Brian Burke has only been on the job for two years. It's only fair to give him at least three more.